Can My Family Get Wrongful Death Benefits From Workers’ Compensation? There is risk in almost everything we do, no matter how small it may be. If you are injured on the job, workers’ compensation is generally available to help pay your medical bills from whatever incident occurred. However, there is sometimes confusion about whether workers’ compensation extends to death benefits, especially in the event that wrongful death is alleged to have taken place. It is in your best interests to ensure that you understand your options with regard to such benefits, especially if you do not have other insurance or assets to take care of your family upon your passing. As one might imagine, workers compensation will not pay out death benefits if the person passed away due to an injury or illness that was not work-related. However, in some cases the definition of “work-related” can be difficult to pin down. If, for example, someone is injured or killed in an accident on an errand for their employer, it may be considered ‘work-related,’ but if someone meets the same fate while on work premises but off the clock, it likely will not be considered a work-related accident. Having experienced legal assistance can sometimes help avoid this confusion, but not always. The law also permits that compensation for death be paid by workers’ compensation insurance if a death occurs due to a work-related accident within 1 year of the incident, or within 5 years of “continuous disability” related to the incident. The rationale for this is that some conditions simply are not fatal instantaneously, but if they are related to work or worsened by work, some form of compensation is still appropriate. This is something to keep in mind if your injury was not fatal, but is actively compromising your quality of life, or if you are losing a loved one due to a degenerative disease. One important fact to keep in mind surrounding Florida workers’ compensation law is that very often, it is billed as the exclusive remedy for workers who have been injured on the job, meaning that they are unable to bring any kind of suit even if their rights have been abrogated. In other words, even if an employer acts too slowly for the benefits to help, many workers cannot sue them. A 2015 case, Morales v. Zenith Insurance, illustrates that if a workers’ compensation policy exists with ‘exclusive remedy’ language for a specific person and their family, a tort judgment in their favor is uncollectable. While it may seem unfair that anything might bar a person’s right to bring suit, the workers’ compensation system in Florida is designed on a quid pro quo trade, in that an employer provides benefits in exchange for a waiver of the right to sue. That waiver is relatively absolute, and in general, the only time it can be ignored is when evidence exists that an employer maliciously or willfully intended to injure their employee. 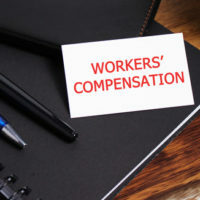 Since Florida modified its workers’ compensation law in 2013, however, no case has met the threshold to be allowed to go forward on that basis. Losing someone is never easy. If you lose them on the job, you generally have the right to expect certain death benefits, and in most situations, you will receive them. However, understanding your potential outcomes is always important, and to do that, consulting with an experienced attorney is a good option. The Winter Park workers’ compensation attorneys at the Hornsby Law Group can help answer your questions and help you decide how best to go forward. Call us today to schedule an appointment.